Nine people have died from hunger and intense cold in East Jebel Marra region, nearby Khazan Tunjar. Among them are six children. Schools in Sudanese states have applied a special schedule for the children to deal better with the cold wave. The extreme cold is buffeting the people and their animals. About 270 sheep have already died, the witness reported. In Wadi Oshara, four children also died from severe cold and hunger. He added that dozens of cattle died early Friday morning. The deceased children are: Jido Suleimon (4 years), Fatima Issa (5), Hassania Harun (7), and Abdallah Abaker (8 years). In Darkoro, Abdel Gayom Harun (4 years), Mariam Yahya Adam (7), Mowada Yagoub (7), Ali Adam (63), and Hawa Mukhtar Yahya (67 years) passed away on Thursday. The witness appealed to the organisations for displaced people and refugees to immediately move to aid the displaced in Darfur camps, and provide blankets, shelter and food for them as soon as possible. An activist from North Darfur's Zamzam camp for the displaced, close to El Fasher, affirmed that an intense cold wave has hit the region, forcing displaced people to stay inside their homes and shelters. He hopes the provision of aid to the displaced will speed up. 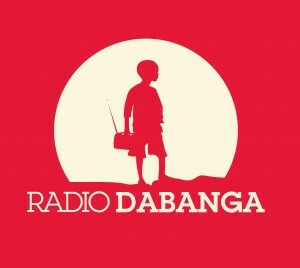 Hussein Abu Sharati, the spokesman for the Darfur Displaced and Refugees Association, stressed in an interview with the radio station that the displaced population in Darfur faces the risk of being “killed in cold blood” and “starving to death”. Abu Sharati appealed to the managers of schools in North Darfur state to temporarily close, for as long as the cold wave lasts. Or, to start school later, at 11 am, following the example of schools in other parts of Sudan. Primary and secondary schools in El Gezira state do not start until 10 am, when the cold has drawn off. This will last from next Sunday for two weeks. 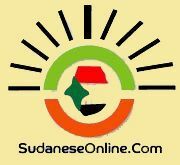 The Northern Sudan has closed all its schools and it has not mentioned when they will re-open. Finally, in Khartoum city, the schools will start at 9 am. The temperature there is around 10 degrees this Friday night.